At 334 Bagot was an eatery called Hyman’s Delicatessen. Together with his wife Becky, Hyman Silverman created an atmosphere that made the restaurant a notable local institution. Much of the Silvermans’ business came from the army barracks across the way (on Barrack Street, naturally), for which they owned the concession rights. 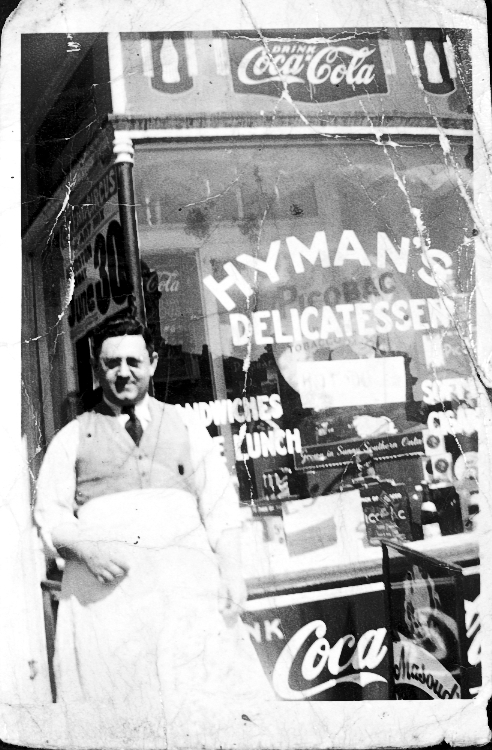 Unfortunately, Hyman’s Deli was destroyed by fire in 1957 When Becky died, Hyman worked in the men’s department of S&R until his death, at age 77, in 1980. 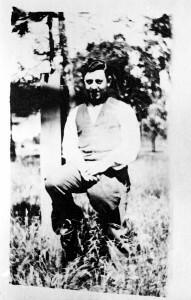 The Silvermans were from Romania; Hyman and his brother Moses were brought to Canada from that country in 1908 by their parents Shlomo and Gittel. Their home served as a shtiebl (literally, “a small room,” a mini-shul where daily prayer services were held) before the synagogue at 148 Queen Street was built.